Plus, Join Our FREE Program! Over the next 3 months, I am committed to designing and actively practicing a series of activities to build my mental, emotional and physical resources in advance of the upcoming posting season, and you're invited to join me. The autumn and early winter months provide the perfect conditions for recharging: the days grow cooler, the nights seem longer, and we are reminded of all we have to be thankful for. We reconnect with family and friends and settle into more predictable routines. The season also boasts more than its fair share of holidays and events, most seemingly oriented towards pleasure, connection and play. 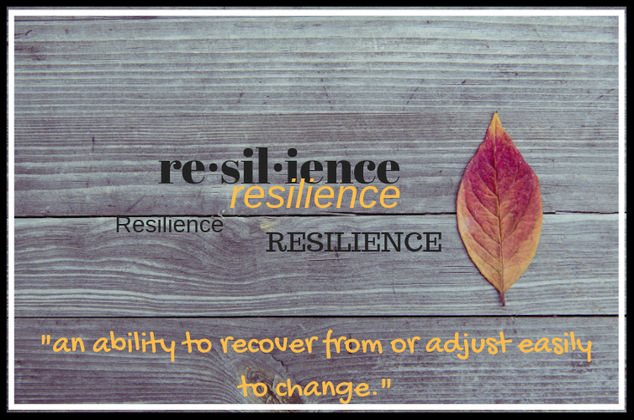 This time of year could be a resilience-building jackpot, and that is just how I choose to see it. As of August 2018, my family will have moved twice within one year. These aren't small moves (last summer our move spanned 1630 km), and we don't yet know the destination of our next one. This lifestyle is full of opportunities to exercise my capacity for resilience, and it has become essential to capitalize on moments of stability, happiness and calm in order to recharge. I need to notice and cultivate moments when I feel grateful, content, excited, and loved in order to grow, achieve, connect and flourish. It is these moments that I choose to focus on, and the benefits of which compel me to do the personal and professional work that I do. Over the next 3 months, I have committed myself to designing and actively practicing a series of activities that will build my mental, emotional and physical resources for coping with change. I have decided to open this process up, and invite a community of people to join me. Even if frequent moves are not an experience you can can relate to, I suspect that change management is. Throughout our journey we will hold each other accountable, using humor, hard work and positivity to leverage all the richness of the holiday season in pursuit of cultivating well-being. Members of this community will be guided through a new activity each week, and encouraged to connect, share and participate actively in a dedicated Facebook group. 4. Bring a strong desire to make positive change in an aspect your physical, emotional, and/or global well-being. The clearer your goals are, the more effective the challenge will be. The only remuneration that I request is that you make a contribution to a charitable organization of your choosing that holds meaning for you, and that you savor the positive emotions that accompany this act. That's it! Membership will be capped at 50 participants, so be sure to sign up for email updates (complete the sign-up form on any page of our website AND join our Facebook page) so you don't miss your chance to join once the group goes live. In addition to the intimate and valuable opportunity of community membership, I will also be offering affordable opportunities for members to sign up for individualized coaching sessions if they desire customized support. So here's to the season! Stay tuned; informative articles and additional details will be posted over the next few weeks!